Grave's disease is characterized by overactivity of the thyroid. It is the most common cause of hyperthyroidism. Another cause of hyperthyroidism in pregnancy is very high levels of human chorionic gonadotropin (hCG). However, cases of high hCG can resolve on their own. Your doctor will test your thryoid hormone levels and other blood tests. Imaging of the thyroid may also be done. You may be referred to a doctor who specializes in hormone disorders. To treat hypothyroidism, your doctor will prescribe medication to replace the hormone your thyroid is not producing enough of. Mild hyperthyroidism during pregnancy is often monitored closely without therapy. In some cases, you may need to take medication. If antithyroid medications do not work, surgical removal of your thyroid gland may be done. It is rarely recommended during pregnancy. Treatment with radioiodine destroys the thyroid gland. It is not done during pregnancy because of risk to the fetus. Hormones associated with pregnancy can cause changes in thyroid hormone levels. Therefore, your medication needs may vary during pregnancy. Your doctor will likely check your blood levels of thyroid hormone every 6-8 weeks during pregnancy and 4 weeks after your medication dose is changed. There are no current guidelines to prevent thyroid disorders in pregnancy. Graves disease in adults. EBSCO DynaMed Plus website. Available at: http://www.dynamed.com/topics/dmp~AN~T115280/Graves-disease-in-adults. Updated March 23, 2017. Accessed April 7, 2017. Hashimoto’s disease. Family Doctor—American Academy of Family Physicians website. Available at: https://familydoctor.org/condition/hashimotos-disease/. Updated March 2014. Accessed April 7, 2017. Pregnancy & thyroid disease. National Institute of Diabetes and Digestive and Kidney Diseases website. 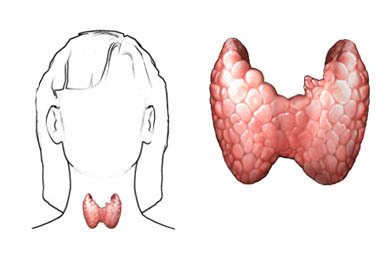 Avialable at: https://www.niddk.nih.gov/health-information/endocrine-diseases/pregnancy-thyroid-disease. Updated March 2012. Accessed April 7, 2017. Torpy J, Lynm C, Glass RM. Hyperthyroidism. JAMA. 2005;294(1):146.